Find out how many people listened to what show or song, from where and for how long. Create easy reports from your automated logs. 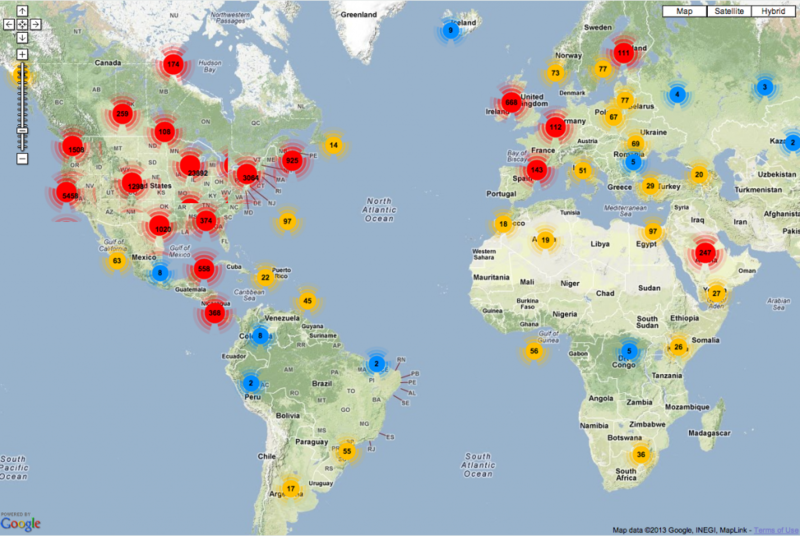 Get a Google Map mashup — zoom in to pinpoint your listening audience. 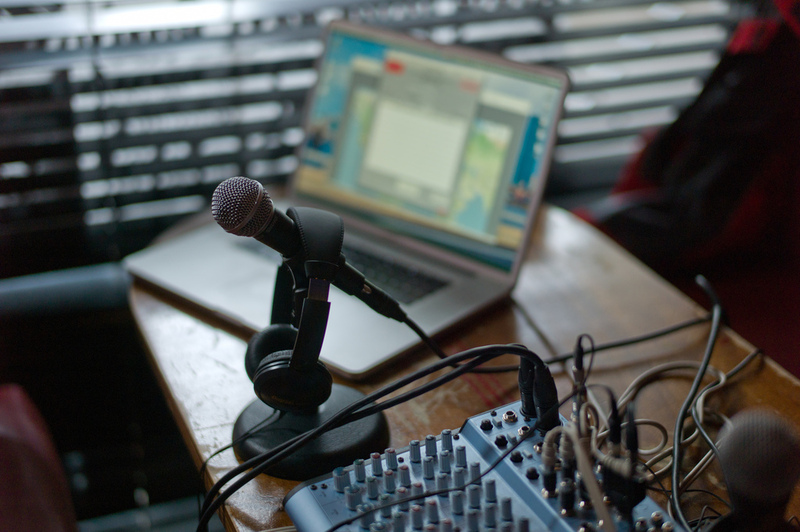 All you need is a Mac®, a mixer and a mic…we handle all the rest. 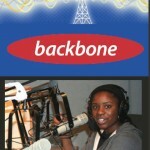 Simply connect to the Internet —from anywhere—and you’re live on the air. It’s as easy as a Mac can be. Broadcast live when you want, from where you want, then instantly switch to automated operation with easy-to-make playlists and auto-generated schedules. Cover an away game, a concert or a breaking news event…live and fast. Just use local wi-fi or your own 4G hotspot, and you’re on the air. Break away to recorded spots with the click of a trackpad. When you’re on the move, you ARE the studio, in control and always connected. 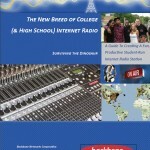 College & high school radio is about learning, developing skills and having fun. 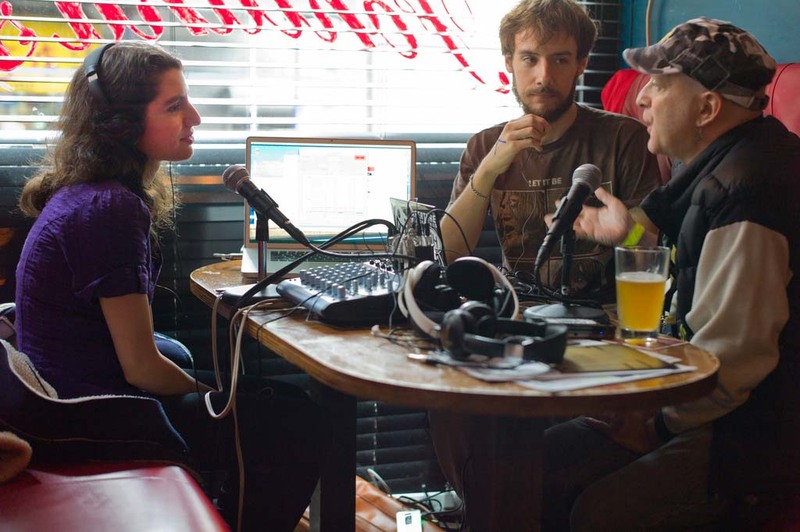 The IBS-SRN is a true digital network, where students can share radio content, like music from local bands, live events and news programming, with other member stations. Even more opt-in content is available from third-party providers of music and other programming — “invisibly delivered” to your station’s audio Library.